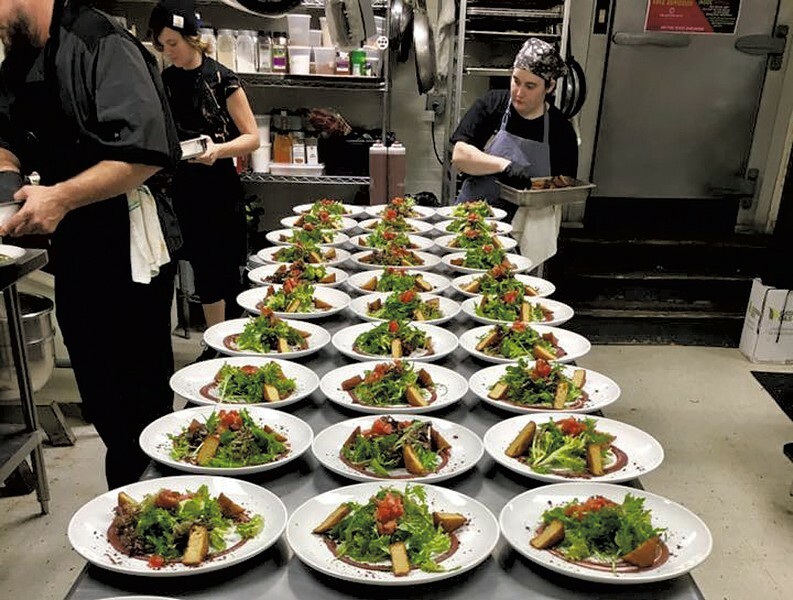 ArtsRiot chefs team up with comrades from Pingala Café for a vegan Thanksgiving throwdown even a carnivore could love. Seitan roulade and porcini gravy form the centerpiece of a buffet menu featuring massaged kale, golden-beet-and-sweet-corn fritters, cider-maple-glazed root vegetables, Julia Child's mashed potatoes, and green bean casserole. Live music and games keep the mood light. Early Thanksgiving: Sunday, October 28, 5 p.m., ArtsRiot, Burlington. $20-30. Info, 540-0406, artsriot.com. HalloWeekend at the Worthy Burger: Cooks shroud the restaurant's menu in a culinary costume and dish McDonald's-inspired burgers, chicken nuggets and fried apple pie. Friday, October 26, through Sunday, October 28, the Worthy Burger, South Royalton. Cost of food and drink. Info, 763-2575, worthyvermont.com. Gilfeather Turnip Festival & Turnip Contest: Locals gather for food, drink and family fun to celebrate Vermont's great white root vegetable. Saturday, October 27, 10 a.m.-3 p.m., Main Street and Town Hall, Wardsboro. Free. Info, friendsofwardsborolibrary.org/turnip-fest. The Great Apple Pie Bake-Off: Home bakers put their pies on the line before a panel of "local celebrity judges." Visitors get in on the fun with pie samples and a menu of small bites and seasonal drinks. Sunday, October 28, 3:30-7 p.m., the Great Northern, Burlington. Free. Info, 489-5102, thegreatnorthernvt.com.